Give a kid a classic "Cozy Classics "is the popular board book series that presents well-loved stories to children aged 0+ through twelve child-friendly words and twelve needle-felted illustrations. 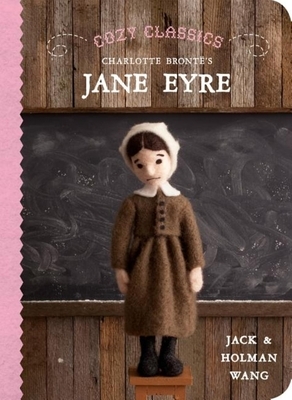 "Jane Eyre "is Charlotte Bronte's mysterious romance about a young governess who discovers a terrible secret about the man she loves, and is one of the world's most beloved classics. Now you can share this classic with children of any age. www.mycozyclassics.com.